Luna Agoncillo shows off her artistic skills on Instagram. 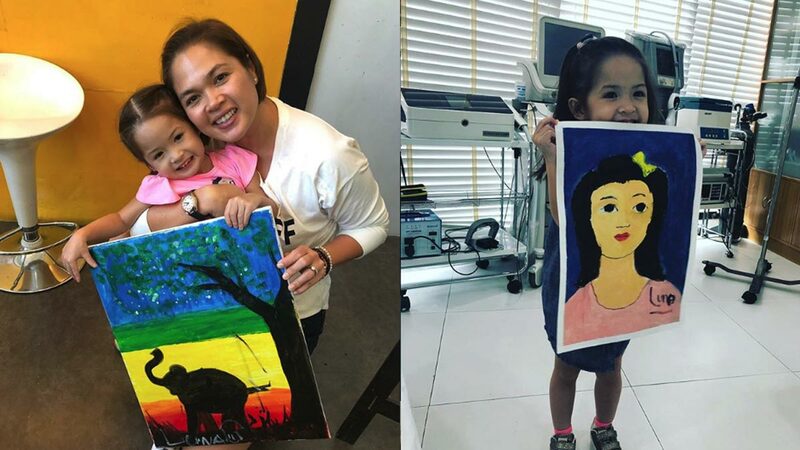 It looks like Judy Ann Santos and Ryan Agoncillo have a child who is an artist in the making. On Judy Ann's Instagram feed are some posts showing Luna's artistic skill. Take a look at the three-year-old tot in action. Mommy Judy Ann's caption reads, "This little bunny never fails to amaze mommy and daddy.. [two red heart emoji] good job my love!" Daddy Ryan adds, "her brush handling is amazing [heart eyes emoji]"
Luna's first work of art was done on the actress' legs. "sana next time hindi na sa hita ko anak.. bilhan na lang kita maraming manila paper ah." Early this year, Judy Ann let Luna join an art class. Check out her artworks.